So You Want to Date a Scandinavian? I have been contacted by more than one person wanting to date Scandinavian people or even marry one of us. My reply? Tough luck! Because Scandinavians don’t date. We hardly even have a word for it. The Scandinavian word for ‘date’ is really old-fashioned and one my grandmother might have used but probably didn’t because I don’t think she dated either. So the few times we have to use the word ‘date’ (usually to describe something foreigners do) we use the English word for it. And we very rarely get married. So how do we figure on top of these lists of “happiest people in the world,” you wonder? And how do we procreate if we don’t date and don’t marry? When my friend, Tammera Cooper, author of The Water Street Chronicles, first suggested I join The New Romance Café Facebook group, I thought, yeah whatever. Another boring group doing nothing. Boy was I wrong. Right away, I could tell this group was going to be different. The group is a combination of writers, both published and dreamers, and readers, romance readers. The New Romance Café offers a safe haven for those who love reading and writing romance. 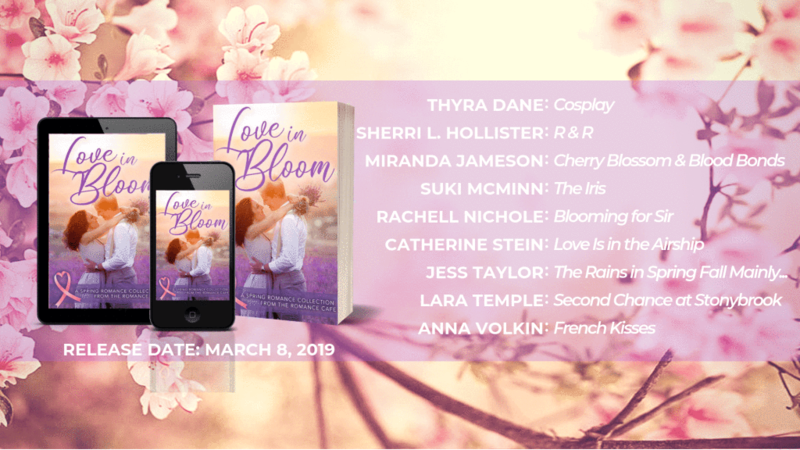 Love in Bloom – Fall in Love with Spring! Do you want to read romance from Scandinavia? Or maybe from North Carolina? How about some Steampunk? We have it all–and so much more–in the new anthology Love in Bloom. Love in Bloom has short stories that are steamy, short stories that are sweet, and everything in between. The best part? You’ll support breast cancer research if you buy the book as all proceeds will be donated. Thyra Dane loves the freezing Scandinavian winters. She was born in Denmark but moved north to Norway where she lives with her husband and their two teenagers. She runs a blog (this one!) where she writes about everything from Vikings to How to Date a Scandinavian. The Diamonds in the Desert contest is open for submissions! Go here to get the details. You don’t have to be a Romance Writers of America member, you just need to have a great unpublished manuscript. You have until March 15th to enter. Good luck! I’m so proud to have a story in this anthology. Our authors are from all over the world. The proceeds go to breast cancer research and care. You’ll also enjoy a great story from Thyra10 (writing as Thyra Dane).